RDPE funding is for rural areas. The map shows the boundary of the Cumbria Fells & Dales LAG. Enter your full postcode, scroll to the bottom of the page and your postcode should be within the area of a Local Action Group. Your LEADER Local Action Group should be Cumbria Fells and Dales. 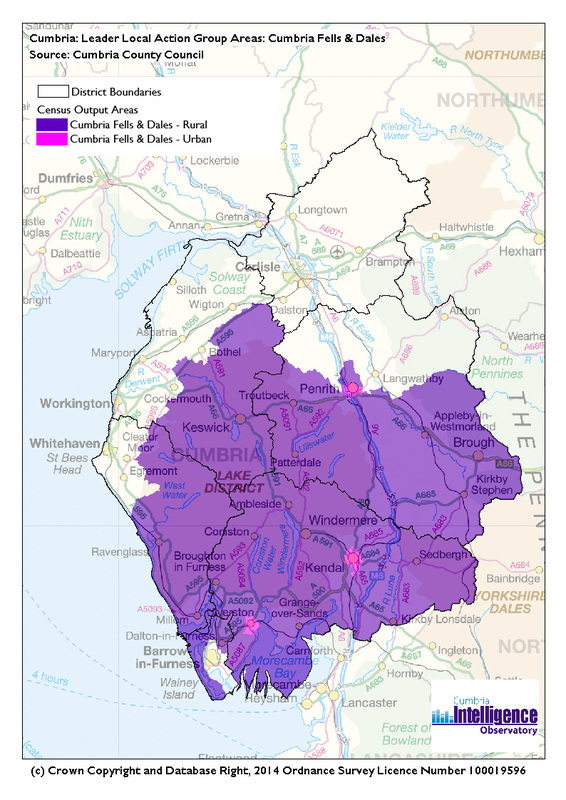 The area to the north and west of the purple area on the map is likely to be covered by the Solway, Border & Eden LAG .